There's no guideline limit for children under the age of 4, but it's recommended they avoid sugar-sweetened drinks and food with sugar added to it. Find out more about what to feed young children. 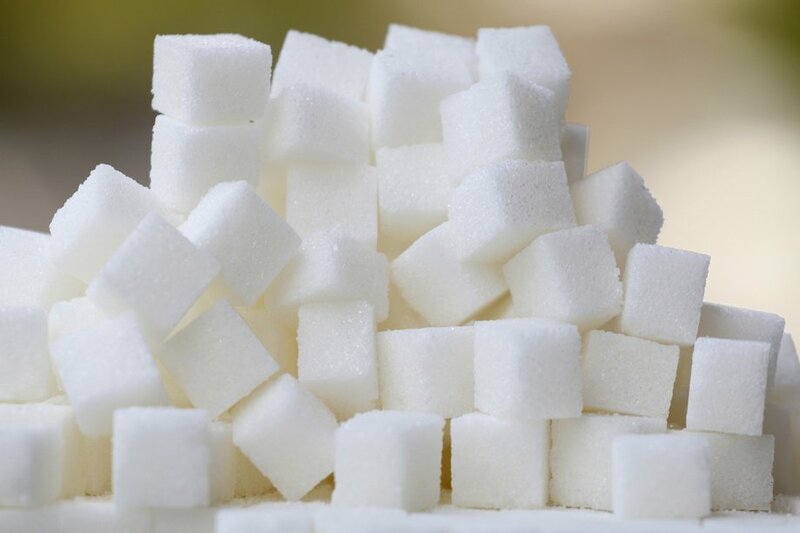 Sugars also occur naturally in foods such as fruit, vegetables and milk, but we don't need to cut down on these types of sugars. Be aware that these are included along with free sugars in the "total sugars" figure that you'll see on food labels. Choose unsweetened wholegrain breakfast cereals that aren't frosted, or coated with chocolate or honey. It's important to look for the "of which sugars" figure on nutrition labels, which is part of the carbohydrate information. While this does not tell you the amount of free sugars, it's a useful way of comparing labels and can help you choose foods that are lower in sugar overall. If the amount of sugars per 100g is between these figures, that's regarded as a medium level. Sometimes you'll see a figure just for "Carbohydrate" and not for "Carbohydrate (of which sugars)". Sugars added to foods and drinks must be included in the ingredients list, which always starts with the ingredient that there's the most of. Squashes sweetened with sugar, fizzy drinks, soft drinks and juice drinks have no place in a child's daily diet. If you're looking after children, swap any sugary drinks for water, lower-fat milk or sugar-free drinks. It's better for your teeth to eat dried fruit as part of a meal, such as added to your breakfast cereal, tagines and stews, or as part of a healthy dessert – a baked apple with raisins, for example – and not as a between-meal snack.